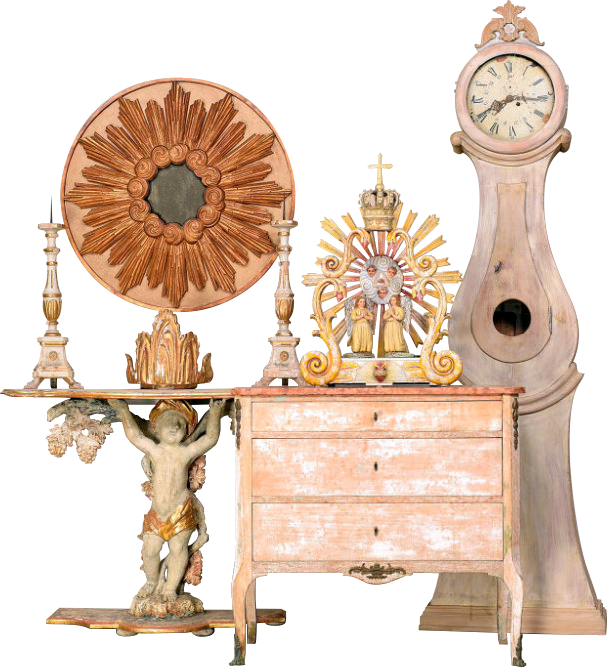 Dealers of fine European antiques & light fixtures, 19th century Swedish floor clocks, architectural elements, ethnic discoveries, and other curated treasures from around the world. A. Tyner Antiques has been providing exceptional furnishings and finds to collectors, interior designers & their customers worldwide for more than two decades. Click here to view our new items! Proprietors Angie and Hugh Tyner’s passion for traveling the world is reflected throughout the shop. Whether looking for the perfect 18th century Swedish chest, a one-of-a-kind Italian fragment or ethnic pieces such as African currencies, we are confident you will enjoy your browsing experience. Our website displays pictures, descriptions and prices of more than 1,000 selected items. Although we are consistently updating our website with our new acquisitions, it contains only a small sample of our vast inventory. If you don’t find what you are looking for, please feel free to give us a call: chances are we have it in our shop or at our warehouse!